Get Your Application In Today! Does the thought of being able to work from anywhere in the world excite you? Are you a stats phenom who refreshes Google Analytics for fun? Does talking with thought-leading women and asking them questions LIVE every day sounds like a dream? If you're drooling at the thought of being our next Associate Community Marketing Manager, watch the video above and check out the full (but evolving) job description here. When you're ready to pull the trigger on your application, email me a 3-minute video to livechat@powertofly.com explaining why you are a perfect fit for this role! 10 New Work-From-Home Jobs For You To Apply To This Week! Ready to super-charge your work-from-home job search? Check out the 10 new openings below or visit our remote job board for even more opportunities! 11 New Work From Home Jobs Just For You! "Diversity and Inclusion are fundamental to GitLab's success. We aim to make a significant impact in fostering an environment where everyone can thrive." The companies listed below have all made commitments to fostering cultures of diversity and inclusion – we think they're pretty great – and we think they're all pretty great! If you don't see a role that matches your skills, make sure to 'Follow' the company so we can send you custom job matches in the future. 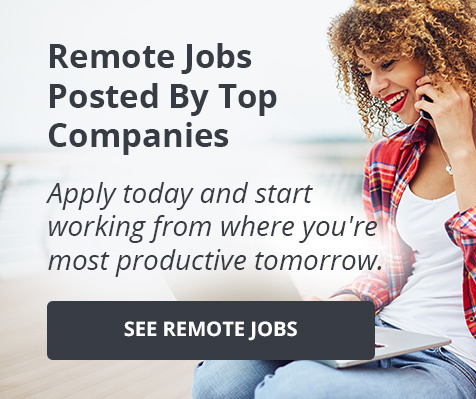 Check out the featured work-from-home jobs below or visit our remote jobs page for even more opportunities! Check out this list of our 10 new fully remote jobs below or visit our jobs page for even more opportunities!